Setting Your Networking Goals - I'm your PA : The virtual assistant company that likes to make you smile. Does anyone else find it weird that there have been very few networking events over the last two weeks? I can’t wait to get back into the swing of things next week! So what are your networking goals for this year? Having beaten our £100k of business from networking, this year I am looking to increase this to £150k – it’s a big jump, but I am working on the principle that if you aim high you reach the higher branches, even if you don’t make it to the top! I have spent some time updating my “wants list”, these are the people and businesses I specifically ask for whilst out networking, I will also be supporting more people with connections, the more you give, the more that just seems to come back (Givers Gain!). I do need to hone my elevator pitch again, I think we all get a bit sloppy, so there will be time practicing that, then there is also a review of the networking that I attend. Networking is an investment into your business, not just financially, it also takes time, so I am currently reviewing all my networking and planning on trying some new stuff. Let’s face it we all know, if you always do what you always did, you get the same results – so it is important to review what the last twelve months brought you in networking. 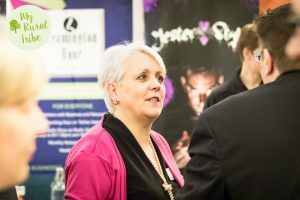 I appreciate that networking is not all about the business that comes from it, there are all sorts of benefits from confidence, connections and experience. So watch this space – you might find me popping up at a few different meetings. If I can help you at all with your networking then please connect with me on Facebook or just give me a call, and don’t forget to set your networking goals.